Thanks to the 191 riders who signed on for yesterday's Nova Raiders Reliability Ride, we raised a fantastic £595.10 for Newport Cottage Care! We had riders take part from lots of different clubs across Shropshire and beyond, including 52 Raiders and 39 from Newport CC. Next up:- Route 66 on Saturday 27th April. Please note that we have had to re-route the Long Route just after Hodnet due to roadworks. A revised GPX and route map is available below. On Sunday 17th March 2019 the Nova Raiders will be hosting their annual Reliability Ride with proceeds going to Newport Cottage Care Centre. It starts at 9.30 with registration from 8.45 and costs £5.00 per person. Complimentary tea and coffee is available at registration. From the New Inn in Newport, where registration will take place and parking is on Stafford Street car park. There are two routes to choose from: 28 miles and 52 miles. 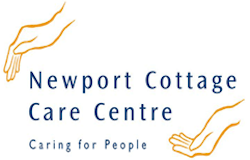 All proceeds from our Reliability Ride will go to Newport Cottage Care Centre, an award winning Day Care Centre, based in Newport Shropshire. They offer a full range of day care services for the elderly and those living well with dementia in the community. Entry is strictly on the day and cash only at the registration area of The New Inn.